Do You know how you feel when you step outside into a park, the countryside or the mountains? Amazing, right? Most people feel pretty good outdoors. That’s because nature is an import part of our experience and offers a nice change of pace to the hustle and bustle of city life. What if you could bring that amazing feeling into the workplace? The good news is, more and more businesses are adopting a wellness plan, which also means more options to accomplish this are being developed. This article provides more details environmental wall solutions that help give any space a taste of the great outdoors. Depression affects close to 15 million Americans a year (cited by The American Psychological Association). In addition, mental illness or disorders contribute to nearly $60 million dollars in expenditures, being one of the top conditions in the country. While treating mental health conditions begins with awareness, it is largely more successful when individuals seek professional attention. The healthcare spaces created by Kimball Health products are a patients first impression when they walk into the clinic. Kimball recognizes the importance of crated spaces that are holistic, safe, and design well. Kimball’s mission continues to emphasize creative thinking and a deeper understanding of the human experience as it relates to spaces. Discover more about Kimball’s design approach to behavior wellness. In our “always on, always connected” world, finding time or spaces that help us relax without interruptions are hard to find. Because of this, It’s no surprise that mindfulness is growing in mainstream markets such as healthcare environments and the workplace. Meditation and yoga spaces are quickly being incorporated into healthcare and workplace floorplans. Corporations such as American Express and Nike have taken mindfulness training programs to their staff. Google has even started the program “Search Inside Yourself” to boost productivity and stave off burn-out. 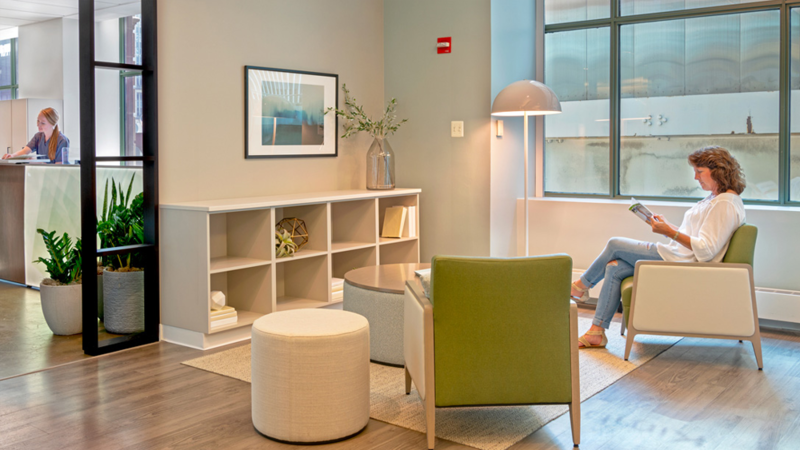 When it comes to finding a place to relax in the workplace, it shouldn’t be difficult. 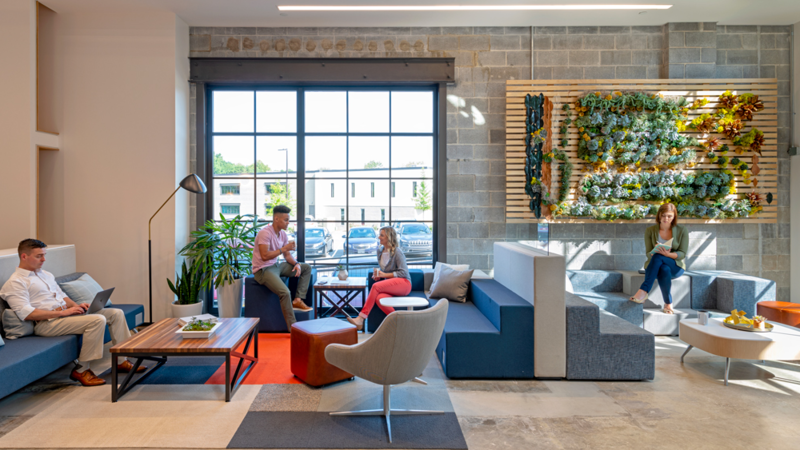 When businesses and healthcare facilities adopt a well-being attitude and incorporate spaces dedicated to the practice of mindfulness and relaxation, it becomes much easier to unplug. Find out more about Kimball’s approach well-being in the workplace. This entry was posted in Articles, Products on March 21, 2019 by BOLD Office Solutions.